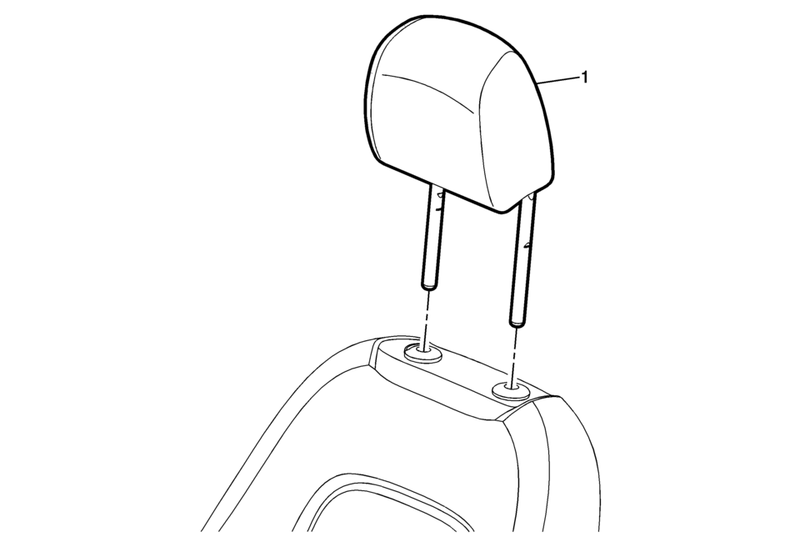 Raise the headrest to the full upward position. Depress the flush button on the head restraint guide. Remove the head restraint by pulling up on the restraint.